Certified to ISO 9001:2008, RISQS certified, formerly known as Achilles Link-up and with over 35 years specialised experience in dealing with all metals and alloys, WEC Fabrication provides metal fabrication services to the UK's highest standards. We provide metal fabrication serices in various metals, the metals we work with include: mild steel, 304/316/2205 stainless steel, duplex, boiler plate, corten, monel, titanium, copper, nickel and invar; we've even been known to work in platinum! We have an extensive range of modern metal fabrication equipment, and our team are highly skilled in metal fabrication techniques and practises. We Work to ASME and BS EN standards, and our welders and fully qualified in MIG, TIG, MMA, sub-merged arc and coded welding in all disciplines. 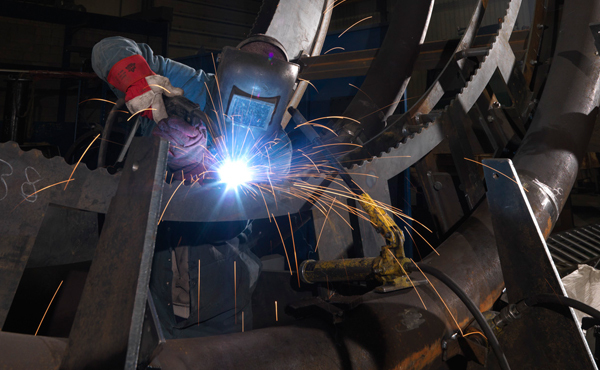 All coded welding is assessed by PED assessment bodies such as Royal Sun, Lloyds and bsi. Continuous investment from within our own Company enables us to always keep up to date with modern metal fabrication practises. With continuous training in the latest metal fabrication techniques and utilising state-of-the-art equipments, we can continue to produce and manufacture metal fabrications with more speed and accuracy, keep costs down and provide our clients in the United Kingdom, Europe, Middle East and Far East with a far superior finished product.